When you are looking for landscaping services, you want a team you can trust will do the job effectively and efficiently. With years of experience, we take the stress out of landscaping your property and transform it to the beautiful and creative structure you have always wanted. Our team will provide exceptional customer experience and enhance any existing features you may already have. 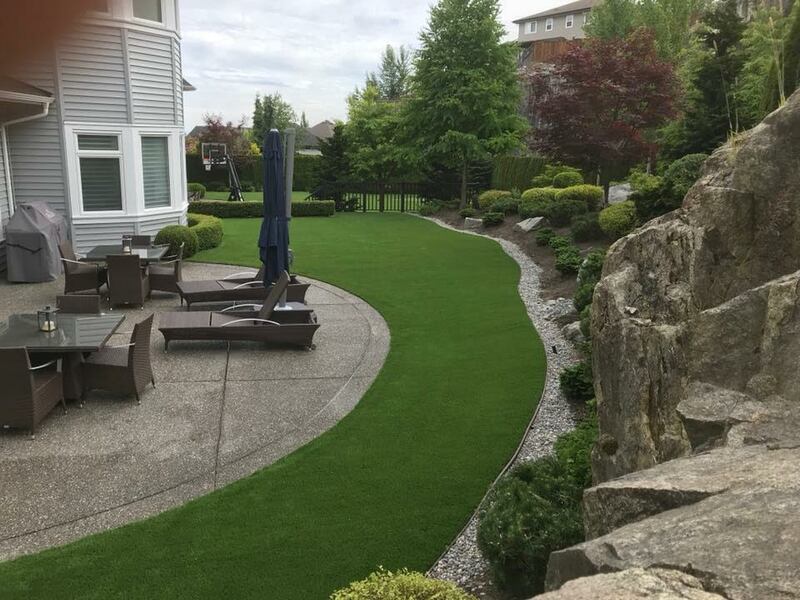 Tanner’s Turf Provides all of your yard's basic needs from general landscaping & decking to synthetic grass installations give us the opportunity to wow your yard! Hiring a company can be a stressful decision because trust is so important. That's why after choosing us you can feel proud knowing that we have transformed numerous properties over the years and created beautifully aesthetic landscapes. We offer the most detailed landscape services and maintain unique properties while dominating in our field. Anything from landscape contracting to simple landscape maintenance, we are your go-to team. 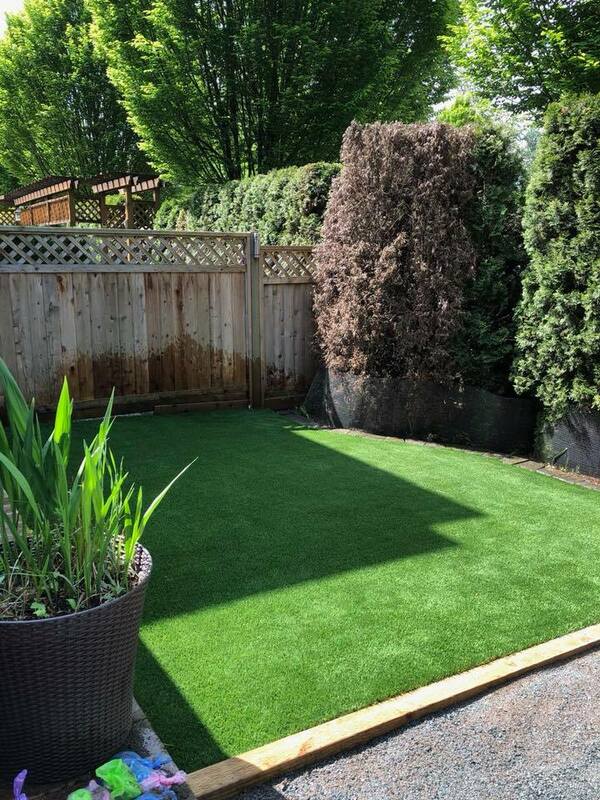 Artificial grass is becoming increasingly popular in surrounding cities and throughout Vancouver. 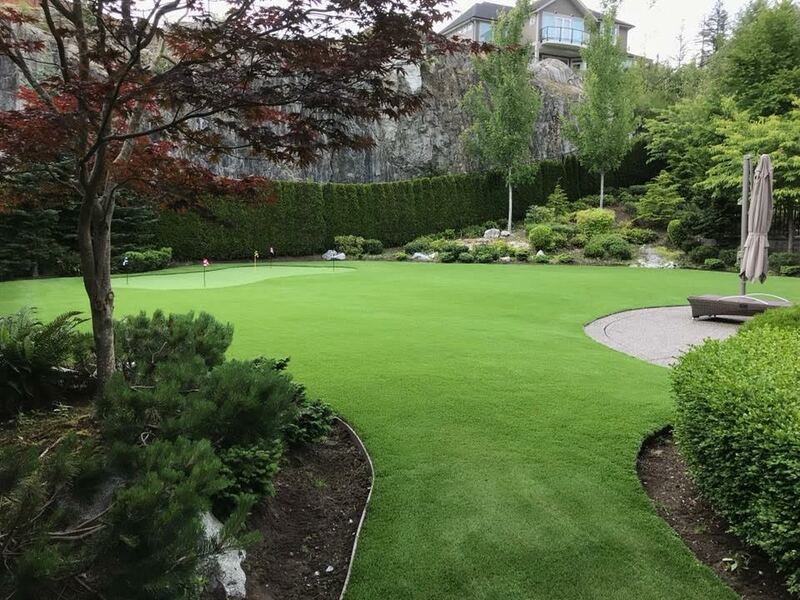 As more back yards and property landscapes are turned from dirt into synthetic turf, let us be the experts you choose to get the job done right! 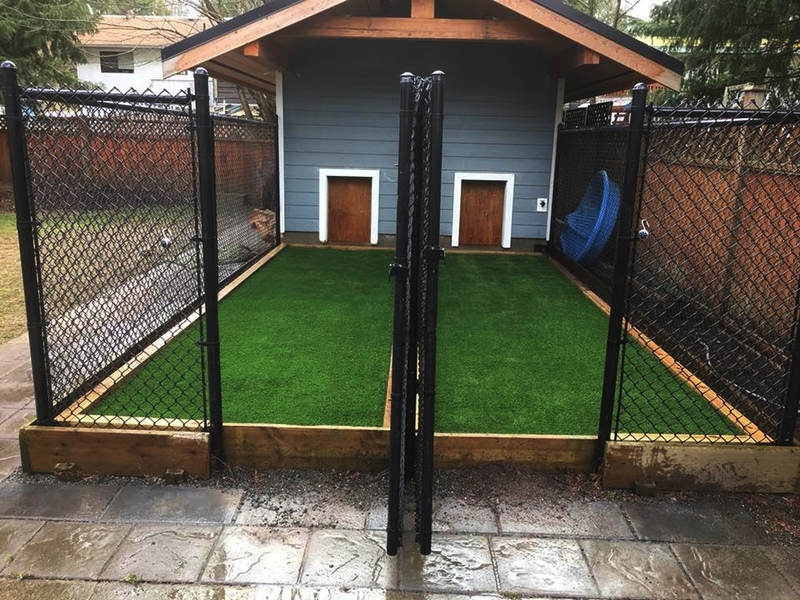 Some of the positives of installing artificial grass would be lower maintenance cost, pesticide free, increased playability, safer surface, and saves water. Practice those chip shots or putts with your very own private putting green! This short cut artificial grass uses the latest synthetic turf options available. We proudly service all landscapes. We want to be your sole provider of lawn and garden care throughout your residential or commercial property. Our goal is to be meticulous with our efforts to ensure that all your flower beds are weed free, hedges are trimmed, leaves are blown from your driveways, and lawns are cut to perfection. Turf technology has improved over the years. We are known for our quality services. 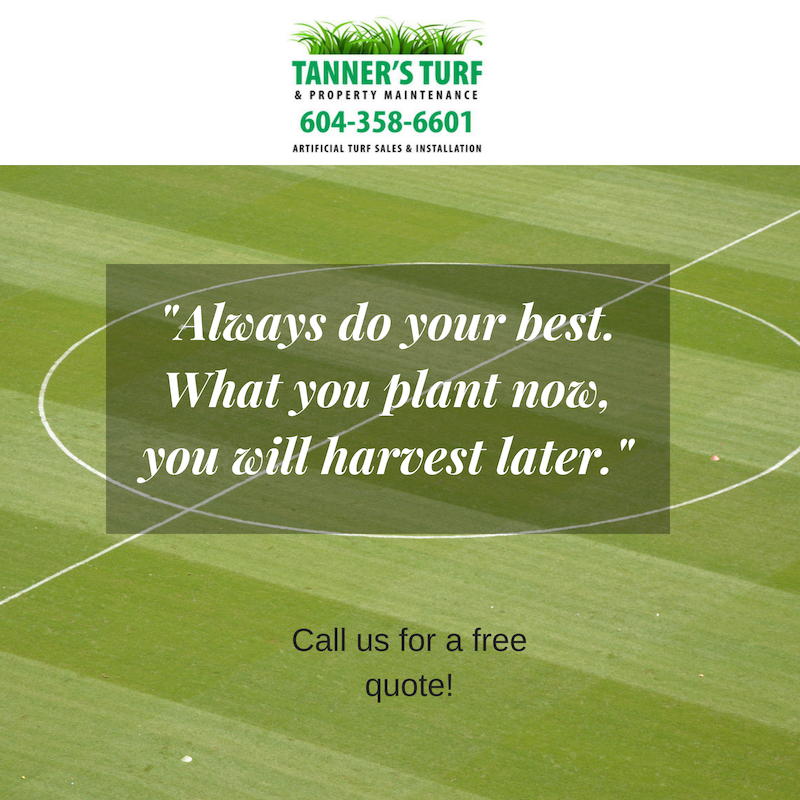 Our turf is fade-resistant with minimal maintenance, and provides year-round beauty. This commercial grade product is designed for longevity. Specially formulated to allow for high drainage rates. Great for landscaping applications, putting green fringe and dog run/agility training areas. 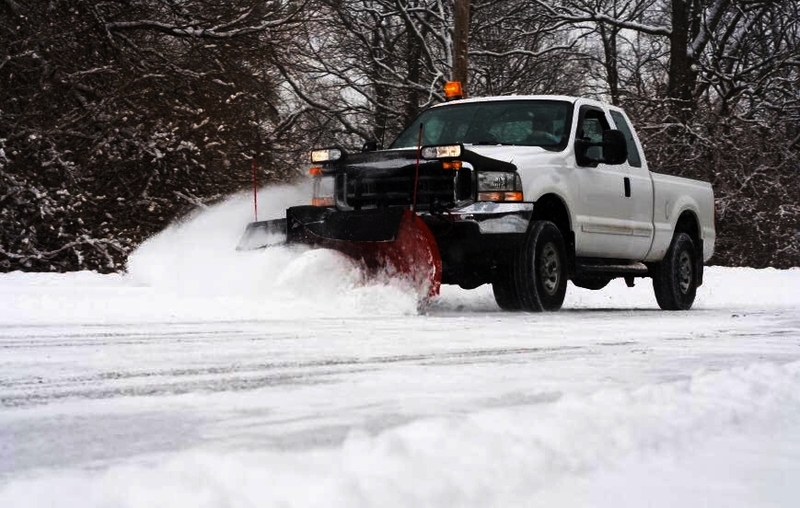 If you require automatic or on-call clearing of snow or salting, we can help! Guaranteed city regulations. 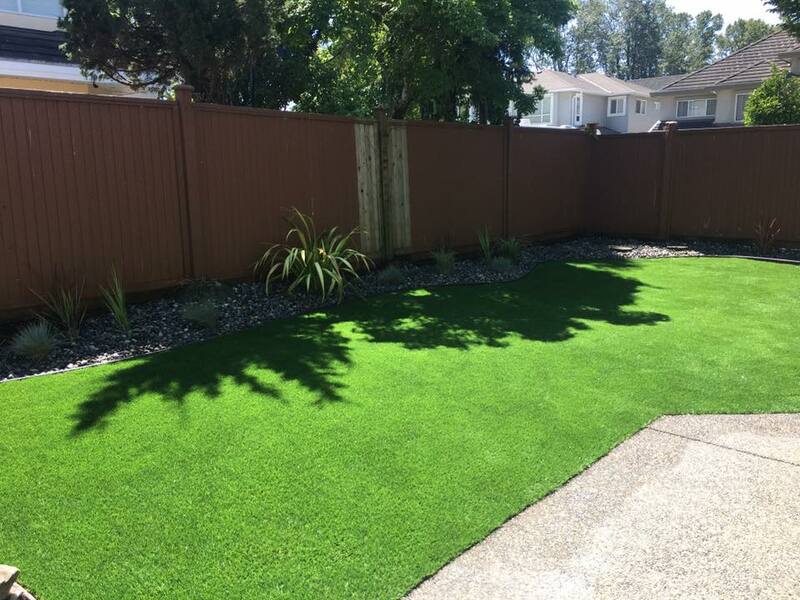 It’s been one year since you did my back yard in your synthetic turf and I just wanted to report the product is excellent as you told me it would be. After a wet and snowy winter and a warmer than normal summer, the grass looks like it was just installed yesterday. The improvement to my drainage problem has also been amazing. At this rate I am sure it will be good for 15 years. We had a small section of lawn that received little sun and had a clay base, with the result that it died and turned into a muddy bog each winter. 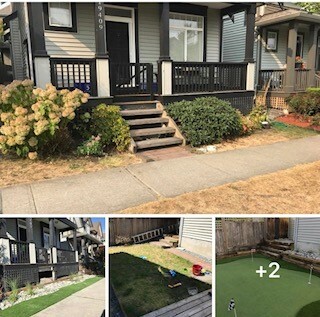 After seeing the work that he did at a neighbours house, we approached Tanner’s Turf to give us advice and recommend a solution. Tanner installed artificial turf in the problem area. It has made a world of difference. We have had a few fall storms with a lot of rain recently. 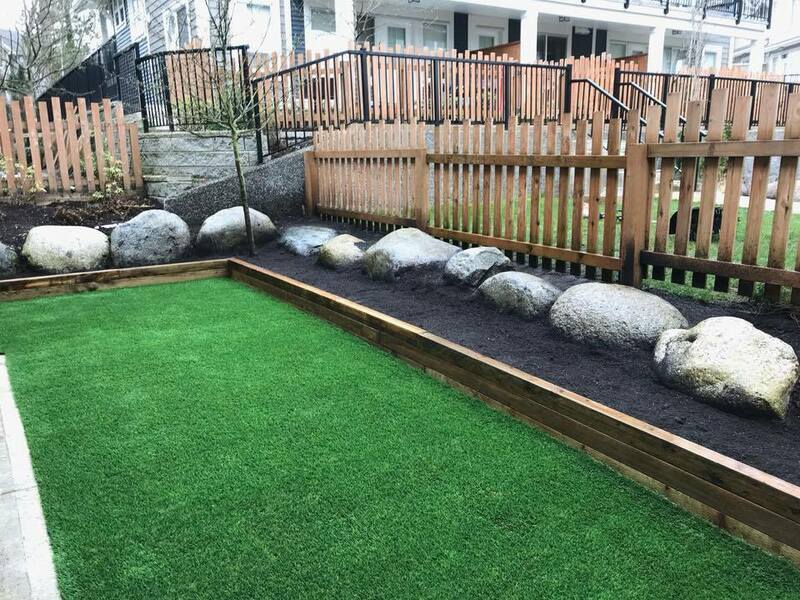 During all of that, the artificial turf stayed well drained, and that area of our garden is now usable year round. It looks great, is green year round, and best of all needs no mowing! Tanner provided very friendly and fast service, combined with a good quality installation.